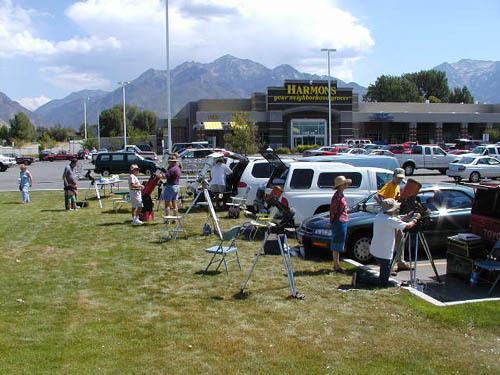 Sun party held at 7th East Harmons. Click on an image to see a larger picture. 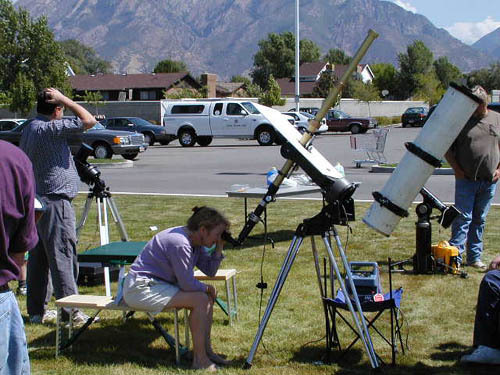 Patricia McWhorter checks out the Sun with SLAS' H-Alpha filter.